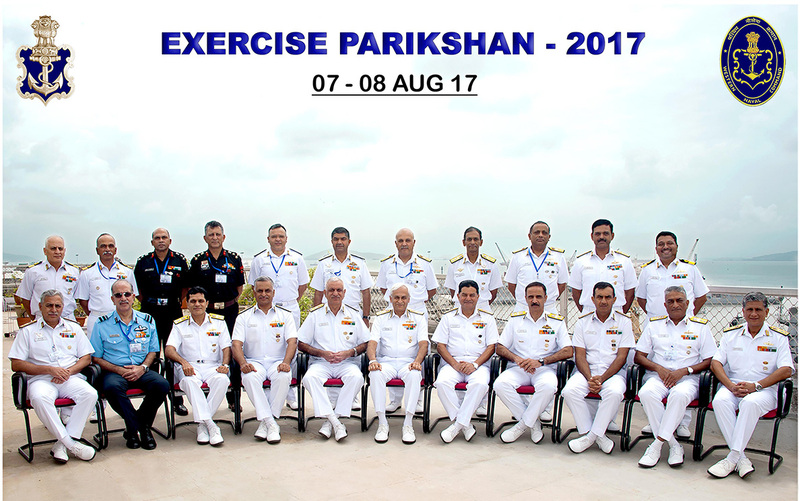 The Western Naval Command conducted an operational level table top Tri-Service wargame titled Exercise PARIKSHAN from August 7-9 2017. The exercise included participation of Operational and Area Commanders, as also teams from the Eastern Naval Command. Representatives from Naval Headquarters, and operational commands of the Army and Air Force in the region also participated in the wargame, for a Tri-Service perspective. 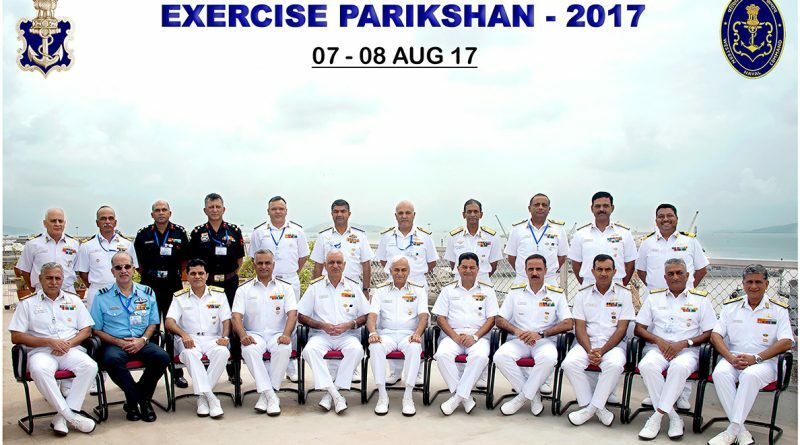 The wargame was undertaken after Exercise AARAMBH, which was conducted by the Western Naval Command in end of July 2017, to test preparatory actions for combat readiness of all organisations and units. India should not fall into a trap of blackmailing of China for supporting its Genocide corridors in return of Doka La. China is furious & doing all this with India & Bhutan because both the countries has strongly opposed its Genocide corridors – OBOR in June. India should & must not support TKB- Tibet Kashmir Baluchistan Genocide Corridor or CPGC- China Pakistan Genocide Corridor or so called CPEC/OBOR (One Belt One Road)/BRI (Border Road Initiative). These areas i.e., Tibet, Kashmir, Kailash Mansarover,Himalayas, Baluchistan are anciently & historically integral part of India. A terrorist Mao regime or Mao Republic of China since 1950’s first killed there own King, than its own people and afterwards start capturing Indian northern areas & demolishing peoples fundamental rights & even conducting mass genocides from Tibet to Chinese Occupied Kashmir (Aksai Chin) & now from Gilgit Baltistan to Baluchistan. Moreover Mao’s Communist regime of China does not even care to obey/respect International Rules & Regulations, whether it is in case of supply of Nukes & its Technology to North Korea, Pakistan & through Pakistan to Iran, Iraq & Libya. And more recently whether we look in the case of Vietnam Sea (or so called South China Sea), strict violation of the orders of International Court of Justice by China. On regular basis China even violates the territorial boundaries (either water or land) of other neighbouring countries like Taiwan, Mongolia, Brunei, Philippines, Japan, South Korea, Malaysia, Indonesia, Singapore etc. In China there are no democratic rights for there own people. People in China does not even have a right to vote, but it is hard to understand why it is called as People’s Republic of China.